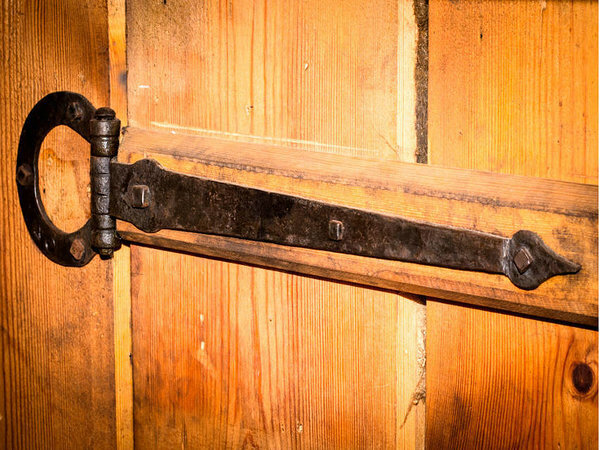 The structure of the strap hinges is different here due to a quite prosaic reason. 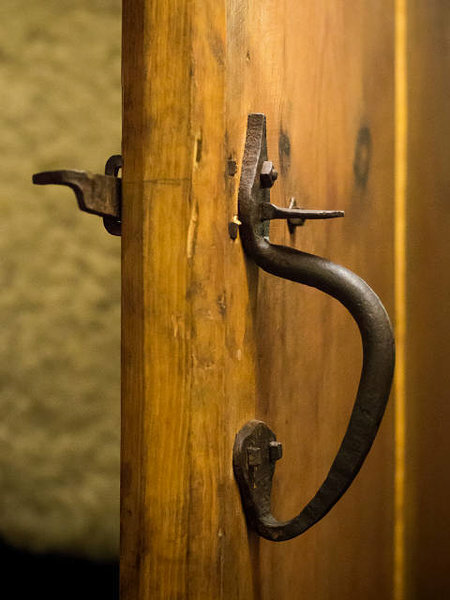 As the doors are made of thick wood and are heavy, a larger surface was needed to attach the hinges. 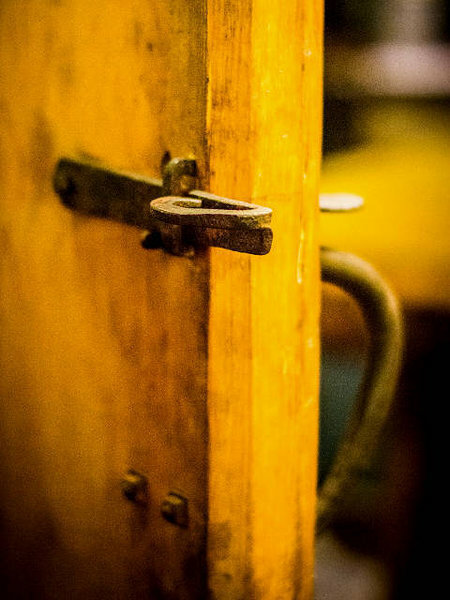 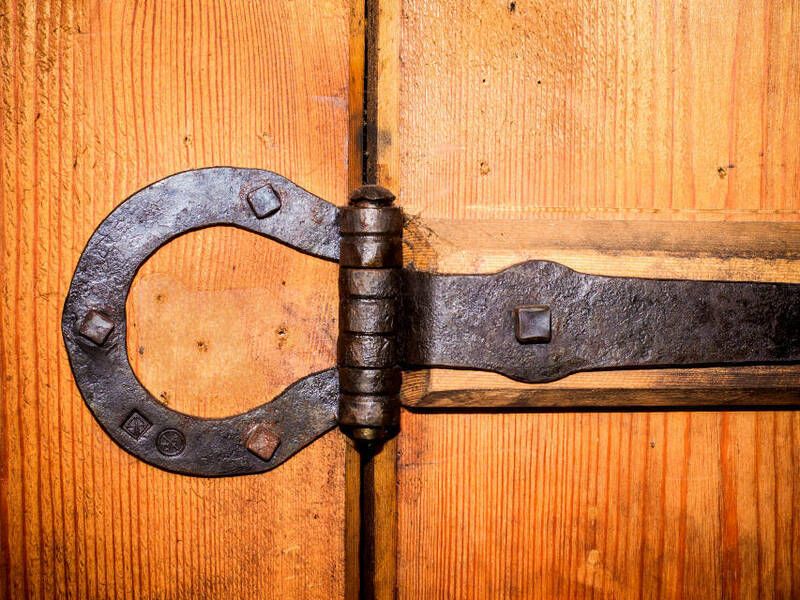 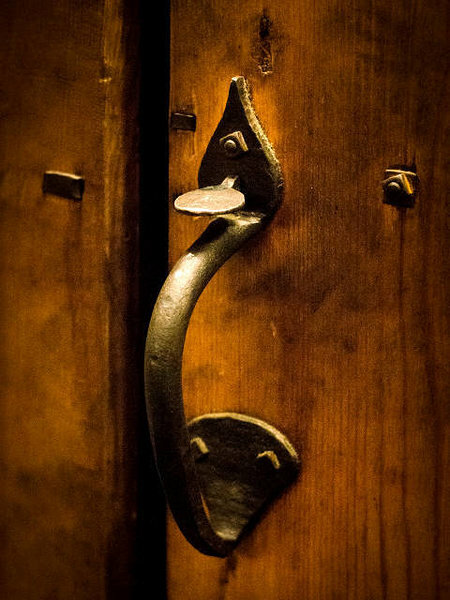 The doors leading to the bow and stern of the barge are equipped with classic forged handles which can be opened by pushing a button on one side and by lifting a latch on the other side.